The bill to ban religious symbols hasn't even been tabled at the National Assembly yet, and MNAs are finding it challenging to pick a side and find compromises. As the CAQ prepares to table the bill, MNAs on all sides have been trying to figure out how to position themselves. Quebec solidaire supporters are split, so the party hasn't taken a firm stand on the matter, choosing to wait until a national council meeting in March. The Liberals have come to a consensus and taken a clear position against the CAQ's upcoming bill, but getting there wasn't easy. MNA Sebastien Proulx, for one, didn't agree with it. Proulx supported the original Bouchard-Taylor Commission recommendations from 2008, which were to ban religious symbols for government workers in positions of authority. As francophone support for the party plummeted, Proulx was the only Liberal MNA who kept his seat after the CAQ wave swept the Quebec City area in 2018. Now, the Liberals are trying to rebuild that support, so both Proulx and Barrette argued a compromise on religious symbols might help. “Within the Liberal Party, we can openly discuss, and we do discuss all the options, all of them - and that's what we did,” said Barrette. PQ MNAs have a different stance: they want the government to go even further than Crown prosecutors, judges, police officers, corrections officers, and teachers – and impose a ban on daycare workers too. “If you work in a daycare, you're in authority, like a teacher, so this is the position that we have,” said Berube. The PQ also supports a grandfather clause, something CAQ MNAs can't agree on. One area where they do agree, though, is keeping the crucifix above the speaker's chair at the National Assembly. 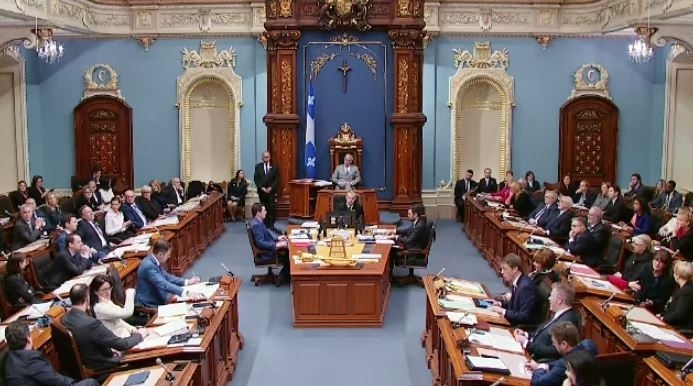 “The premier always says that the crucifix here at the National Assembly is a historical symbol,” said Immigration Minister Simon Jolin-Barrette. 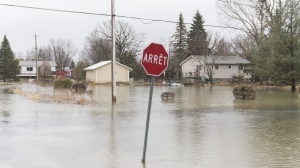 Quebec solidaire wants the crucifix out. “It sends a message that secularism is for others, it's good for some, but not for all,” said Nadeau-Dubois. The bill is set to be tabled this spring.